It all begins with a Welcome Reception in the park’s Harambe Village, including mouth- watering appetizers and African –inspired wine and beer. Then it’s time for the “mane” event! Take your seat inside the newly built Harambe theatre for an unforgettable 55 minute performance of “The Lion King – Concert in the Wild.” What makes this performance even more special is that celebrity narrators will be on hand, in addition to a live orchestra and choir, along with dancers. During the show, guests will see the iconic scenes from the film, theatrically recreated for a never before seen take on The Lion King tale. The show brings to life the humor, heart, and stirring emotional power of Simba’s journey to find his place as the Lion King. Having been thrilled with the Festival of the Lion King, I get goose bumps imagining the heights this interpretation of “The Lion King” will reach! After the show, the celebration continues as you head to the streets of Harambe. There at the Harambe Street Party you’ll find the streets filled with music, characters, and live street performers encouraging everyone to join in and “Go wild!” You’ll also be able to purchase exclusive merchandise, meet Disney characters, and participate in artist signings. The celebration will feature the culinary tastes of Africa with multiple buffet stations, sweet bites of gourmet desserts, and a selection of African beers and wines, plus specialty beverages that are all included in the event admission. Soft drinks and water will also be offered. The evening will conclude at 10:30 p.m., when the party ends with a fond farewell to bid “kwaherini” to a magical evening that could only happen at Disney’s Animal Kingdom. 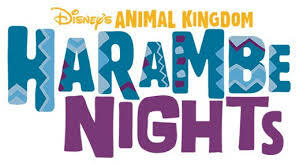 Harambe Nights takes place every Saturday from June 7 – August 9, 2014, with the Welcome Reception starting at 7 p.m. and a 7:30 p.m. show time. Tickets can be purchased for $119 for adults and $79 for kids, ages 3-9. If you would prefer, you can choose to purchase Premium Admission, which provides guests with premium seating for the show. The cost of the Premium Admission tickets is $134 for adults and $94 for kids, ages 3-9. Capacity is limited, so you’ll want to go ahead and get your tickets soon! Theme park admission is included with the cost of the event starting at 4:00 pm; however, attractions and entertainment outside of the designated event area are not included. Parking is complimentary beginning at 4 pm. Harambe Nights looks like an exciting option Disney is rolling out for more fantastic summer fun at Walt Disney World and the Animal Kingdom! 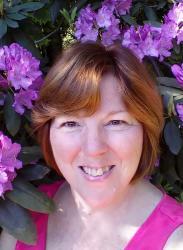 Oh, and congratulations Alyson! Oh I hope they extend this experience too! I’m really excited about all the things Disney is rolling out for Animal Kingdom. It has long been a unappreciated gem in the Disney crown!